Summary THE POSSESSION OF HANNAH GRACE is a horror film in which the body of a young woman is possessed by a demon and stalks the workers on the night shift at a morgue. 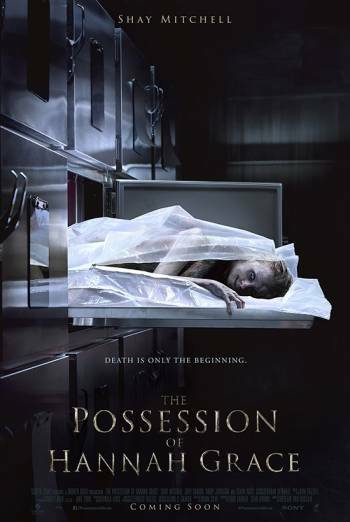 THE POSSESSION OF HANNAH GRACE is a horror film in which the body of a young woman is possessed by a demon and stalks the workers on the night shift at a morgue. There is strong supernatural threat as a demon stalks and kills people. A man is raised into the air and flung across a room and impaled through the head. Another man is pushed into an incinerator by supernatural force. A cadaver is seen with deep lacerations across various parts of the body and with some extremities burnt to blackened cinder. There is infrequent strong language ('f**k').